The Sun Tunnels, west of Ogden. Photos by Maria Milligan. They don’t call Ogden Junction City for nothing. Learn more about the history of the railroad that made Ogden boom by taking a trip across the desert following the old Transcontinental Railroad line. On the way, stop in Corrine for animal fries (with pastrami and chili) at Golden Spike Burger. 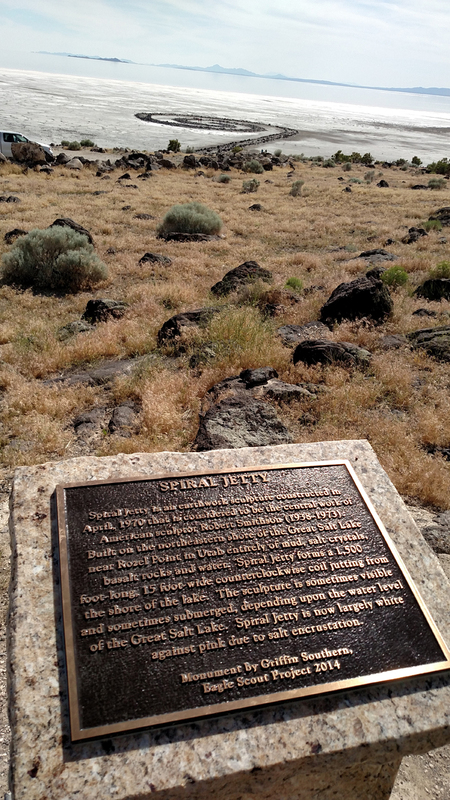 Continue west through Corrine, following signs for Golden Spike National Historic Site. You can stop at Stinky Springs on the way to check out some sulfur-filled hot springs. I can’t say I recommend bathing, but it’s fun to see—and smell—the green, mineral-filled water anyway. The Golden Spike National Historic Site has reenactments of the driving of the famous golden spike complete with working steam locomotives. There are activities for adults and kids alike, so bring the whole family. The Sprial Jetty is a can’t-miss destination west of Ogden. After you finish at the monument, head south to the Spiral Jetty. This art installation celebrates the landscape of the Great Salt Lake with rocks spiraling out into the salty flood plain. Then, if you have sturdy tires and good suspension, you can actually follow the old railroad grade west toward Nevada. The tracks are gone, but there are still plenty of spikes from the transcontinental railroad on the grade. You’ll want to have a spare tire or three and know how to put them on. Or, you can take Highway 30 through Snowville and Park Valley as you make your way out to Grouse Creek and the ghost town of Lucin near the Nevada border (the railroad grade route will also take you out this way). 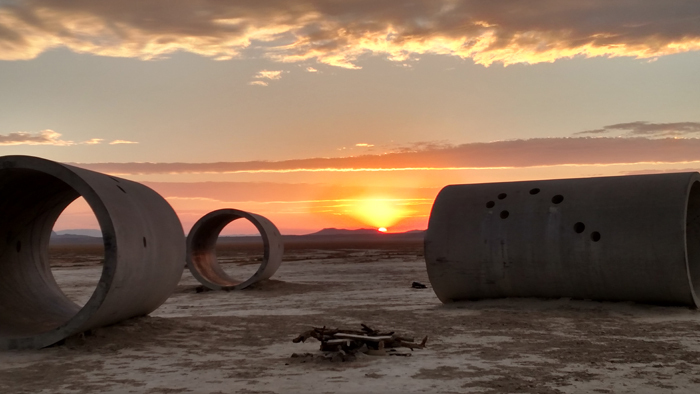 From Lucin, head out to the Sun Tunnels, another art installation in the middle of the desert that lines up with sunrise and sunset on the solstices. If you need a cool dessert on your way back after all that desert driving, stop at Peach City in Brigham City for fresh ice cream. If you’ve got a few other people with you, order the Walt Mann special. A Mormon Muffin from The Greenery. If you prefer shade and water to desert, head east on 12th street toward Ogden Canyon. 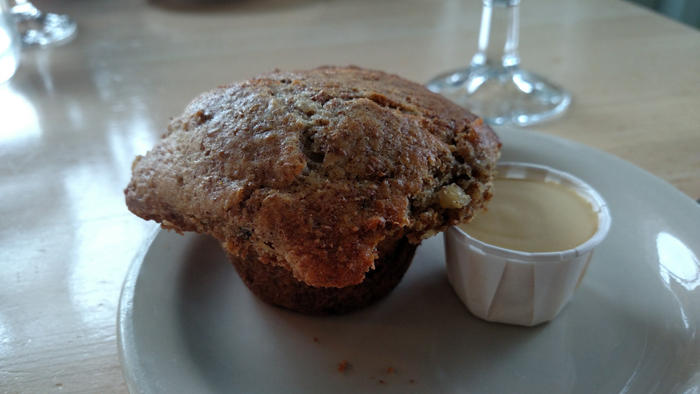 Be sure to stop at The Greenery for some Mormon Muffins (the best bran muffins you’ll ever have), before going across the street to explore the George S. Eccles Dinosaur Park. Once you have your fill of large dinosaur replicas and artifacts, head up the canyon. You can eat at The Oaks or Gray Cliff Lodge if you want some great canyon views as you dine. Once you come out of the canyon you’ll find yourself overlooking Pineview Reservoir, which is a great place to beat the heat or practice water-skiing. If you don’t want to come back the way you came, head up toward Snowbasin on Trapper’s Loop. This ski resort has great food and several mountain biking trails. Make your way back to Ogden through Weber Canyon. Goldfish crackers at the Pepperidge Farm outlet store. Cache Valley is home to several factory outlets that offer great road trip material. 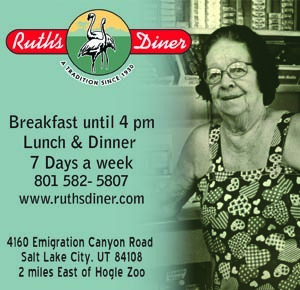 You can choose to take either the Sardine Canyon route past the small but lovely Mantua Reservoir or to stay on I-15 past Tremonton and head east from there. If you go the Tremonton route and it’s the first Saturday in June, stop in Garland for the annual salmon fry. The lines are long, but the food is plentiful and delicious and all proceeds support the local fire department. You can also stop at the Riverside Corner convenience store on Highway 30 for the best chicken tenders around. Gossner Foods: They are most famous for their milk, but you can also buy cheese, bread, ice cream, and shelf-stable milk at the factory store. Lower Foods Outlet: All the meat in this store is pre-cooked, prepackaged, and sold at a discount to make dinner easier for you. 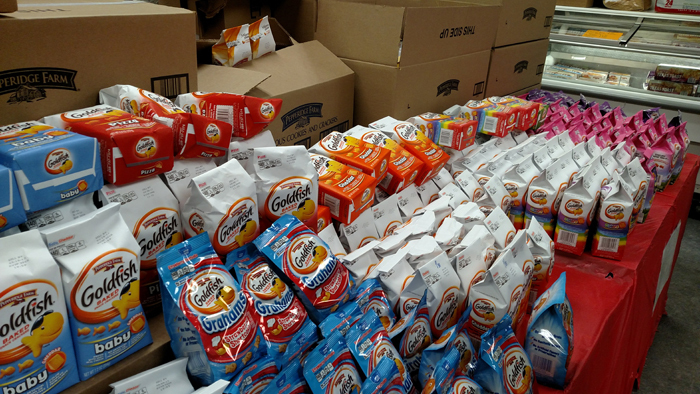 Pepperidge Farm: Everyone needs more discount goldfish and cookies. You can buy them in the standard packaging or in giant plastic bags. Casper’s Ice Cream: Home of the FatBoy. This factory has an ice cream shop where you can get shakes, sundaes, malts, and cones. You can also buy boxes of ice cream sandwiches and bars (the more deformed the cheaper, but they all taste just as delicious). 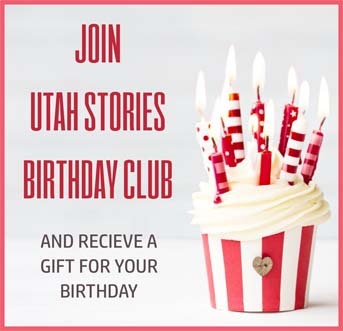 If you have any desire to move after all of that, you could explore historic Cache Valley, check out Bear Lake, or cross the Idaho border for some lottery tickets. Whether you’re looking for history, swimming, delicious food, or points of interest, you can find it all within easy road trip distance of Ogden. Start driving!